Birchbox are number one when it comes to the design element of beauty boxes I mean just look how gorgeous this box is?! 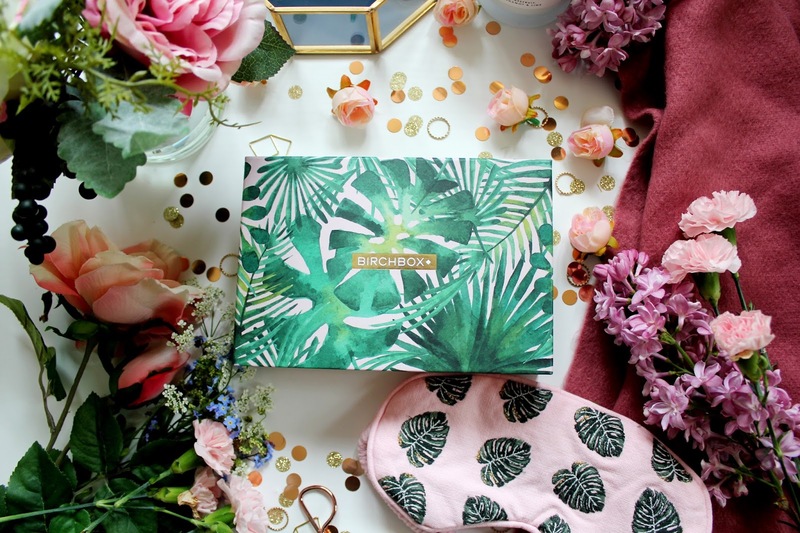 This months box is in collaboration with British home ware brand, Elizabeth Scarlett. 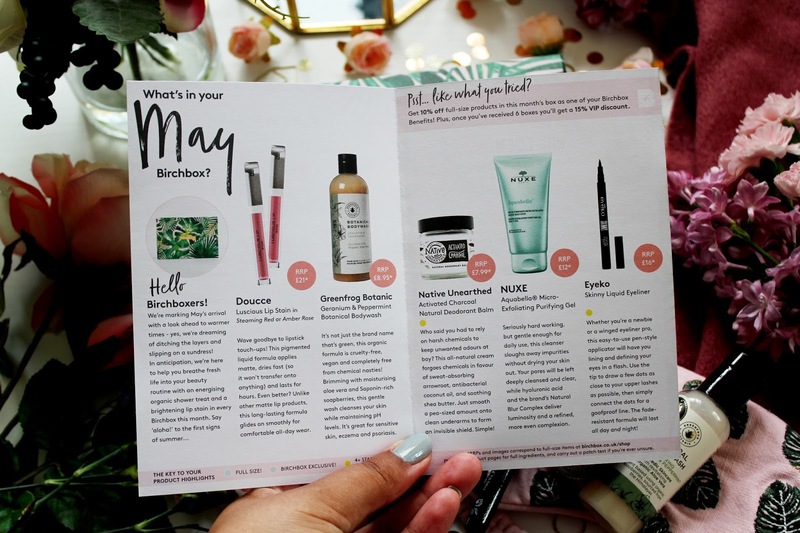 The theme of this months box is ‘feeling fresh’ and injecting a bit of life back into your beauty routine. 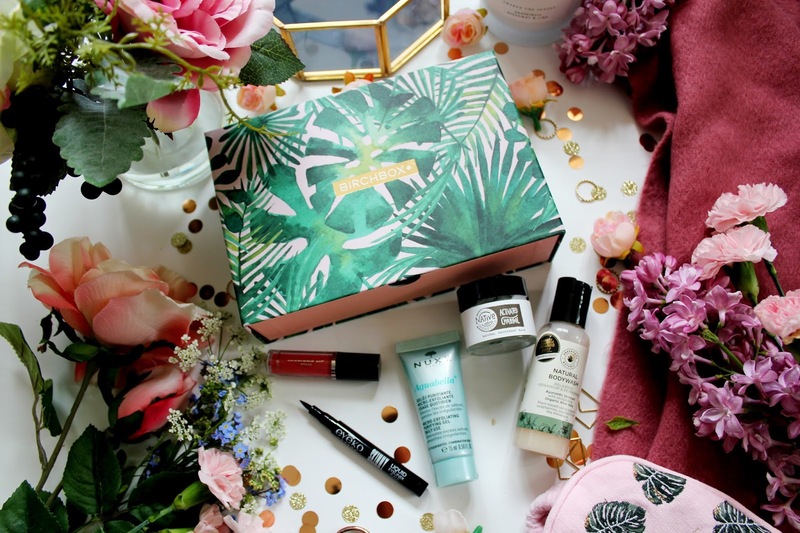 The box has so many gorgeous treats inside to from brands including Doucce, Greenfrog Botanic, Native Unearthed, NUXE and Eyeko. 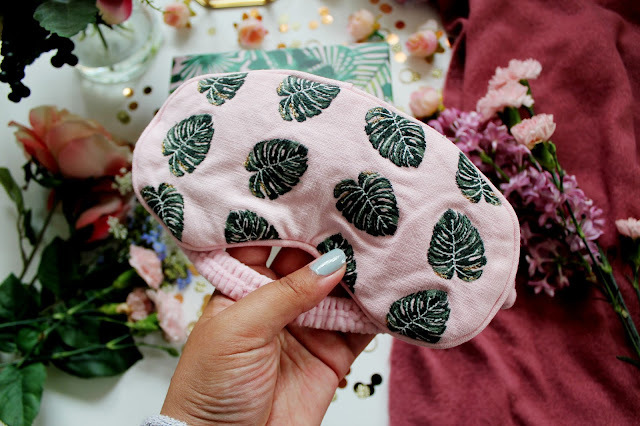 As an additional extra of £14 you can receive this gorgeous embroidered eye mask with your box. It’s so soft and velvet on the reverse and embroidered with palm leaves on the front. 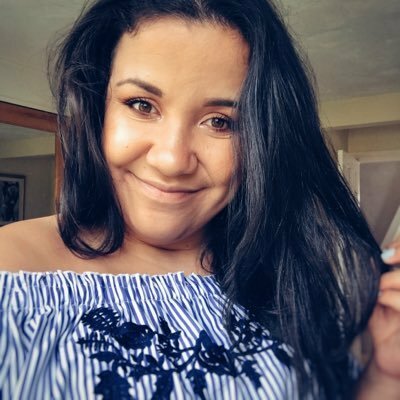 Doucce is a brand I’ve discovered thanks to my beauty box addiction and I think the products I’ve tried from the brand have been amazing so far. I remember trying eyeliner from Doucce and the staying power of it was INCREDIBLE. 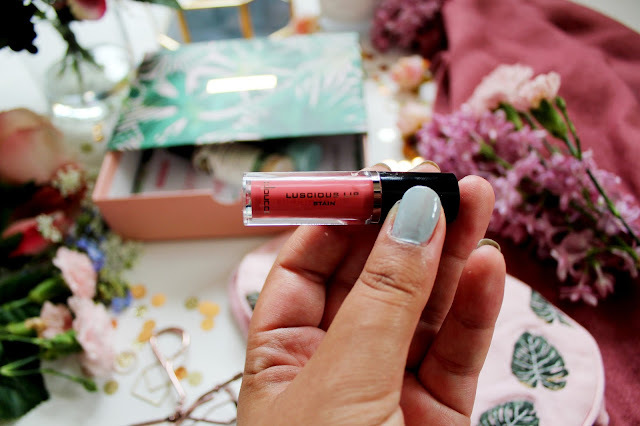 This lip stain is super pigmented and glides on like a dream, I think I’ll be needing a full size version of this! Greenfrog Botanic is a brand I’ve used before thanks to a previous beauty box and I loved it so I was excited to see a Greenfrog Botanic product in this months box. The only thing I’d point out is that I wasn’t happy that none of these products are full size, which was disappointing for this months box. As the previous Greenfrog product I’ve tried was full size from a beauty box! Regardless, this body wash smells DIVINE. This brand is cruelty free and is formulated with Aloe Vera to leave your skin-feeling super smooth. This product was a definite first for me, as I have never seen a deodorant as a balm before. 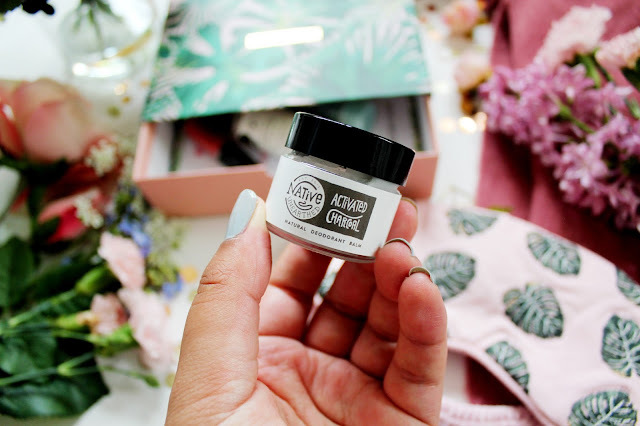 I’m yet to give this a try but this is an all-natural cream formulated with arrowroot and coconut oil and apparently you only need a pea-sized amount to use it. I’ll report back on this once I’ve tried it! Nuxe is a brand I’ve tried a lot over the past few years due to my addiction to beauty boxes and I can’t remember trying a product from them that I don’t like. 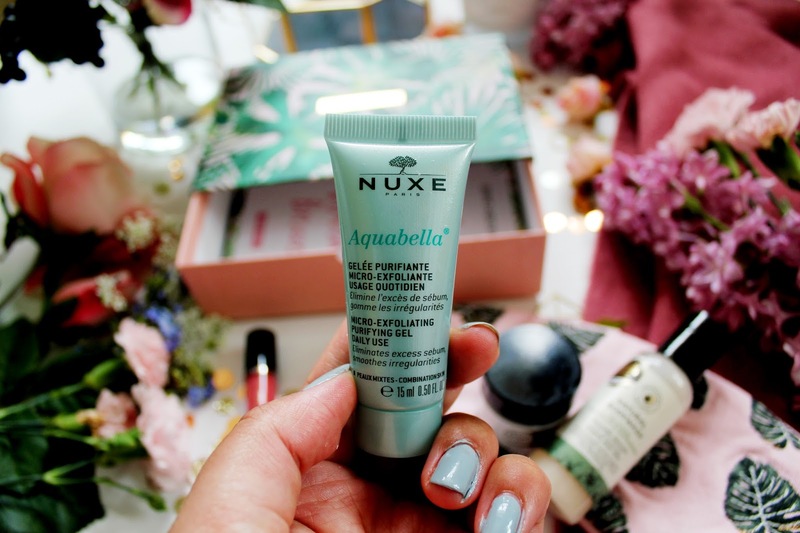 I’ve never tried a product from the aquabella range before either. This cleanser has left my skin-feeling super smooth and is gentle enough on my skin when it’s feeling sensitive. So I’d recommend trying this out! If there’s one thing for sure, Eyeko know how to make good eyeliner. However, despite this I seem to have about 5 of these now, so this one is going to a friend. 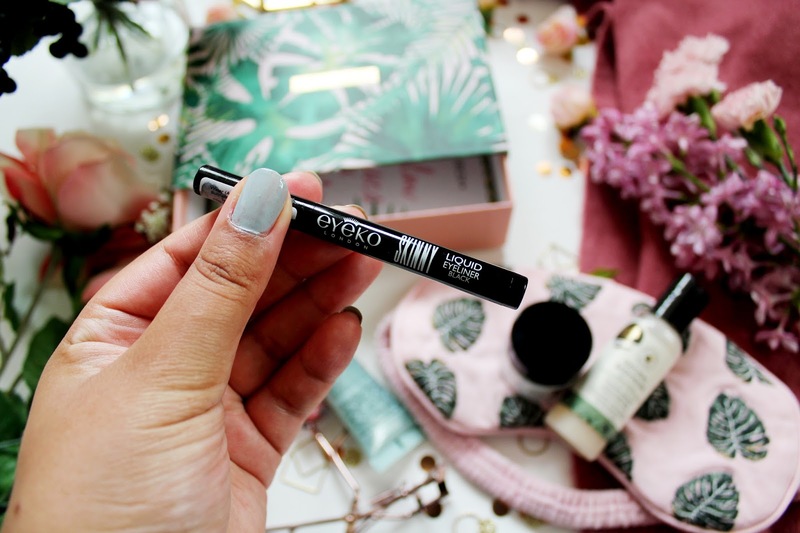 This product from Eyeko makes applying eyeliner SO EASY and hassle free. What I do like about this eyeliner is that it easily lasts all day and night as well! 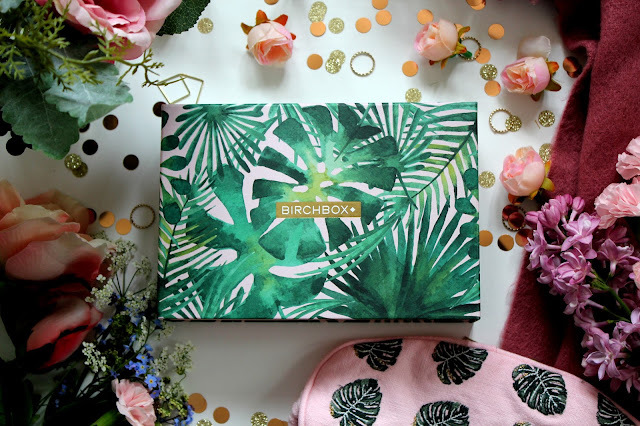 I’ve always been a huge fan of Birchbox but I have to be honest and say this box was a little bit disappointing for me. I miss when there were full sized products in the boxes as this month’s box felt a bit full of samples you’d pick up when you buy a fashion magazine. Regardless, I loved the product variety in this months box and my favourite product was definitely the Greenfrog Botanic Bodywash! 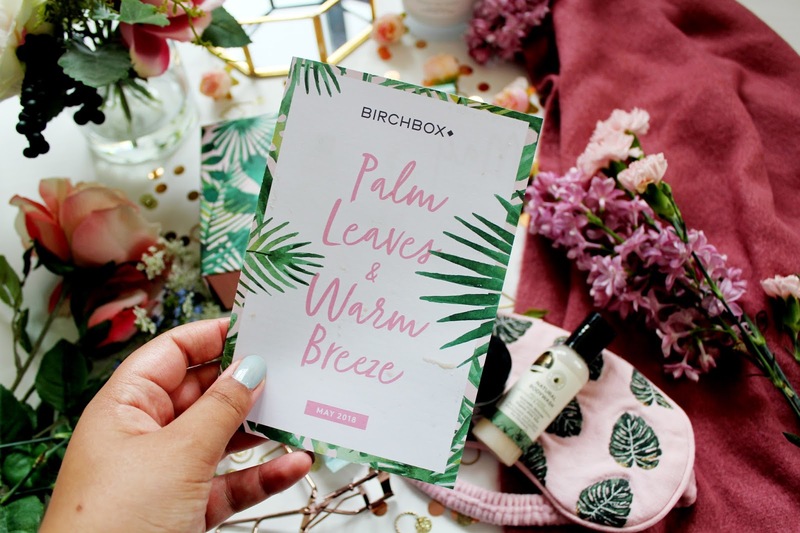 You can subscribe to Birchbox from as little as £10 a month plus £2.95 postage here.